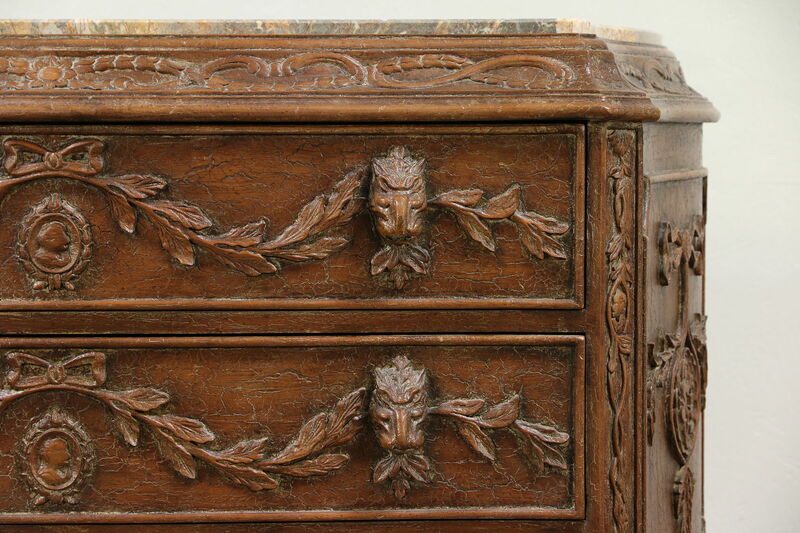 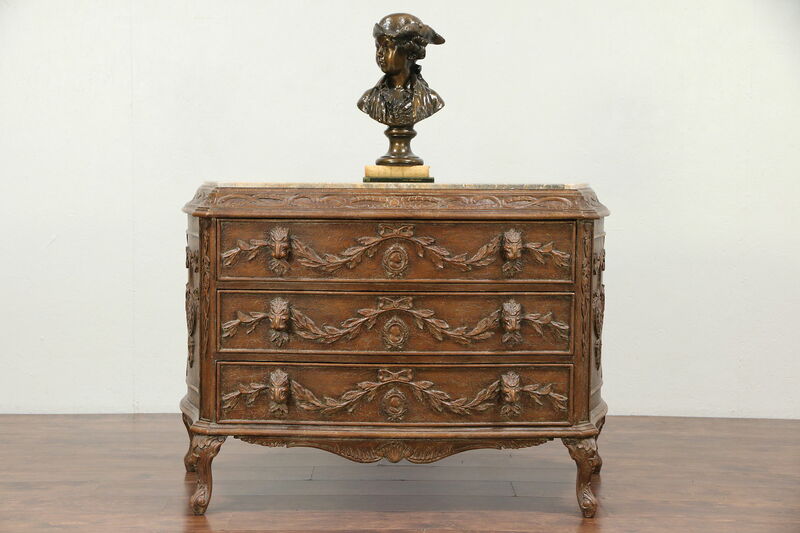 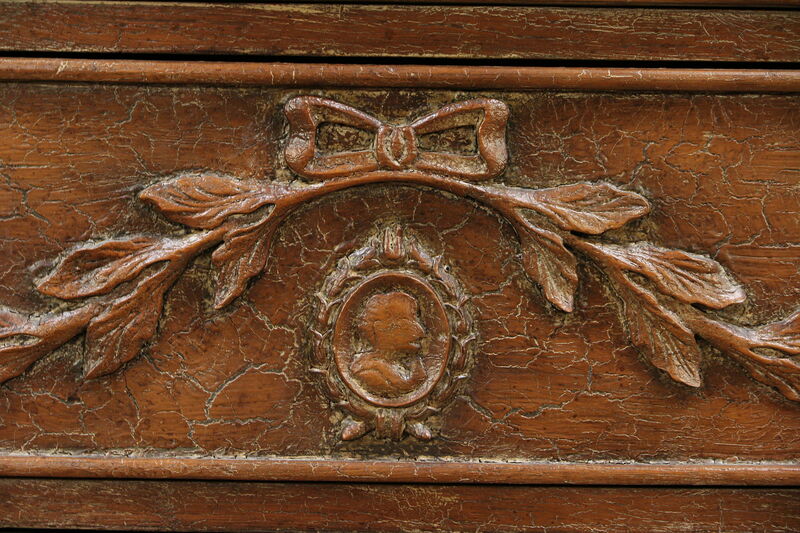 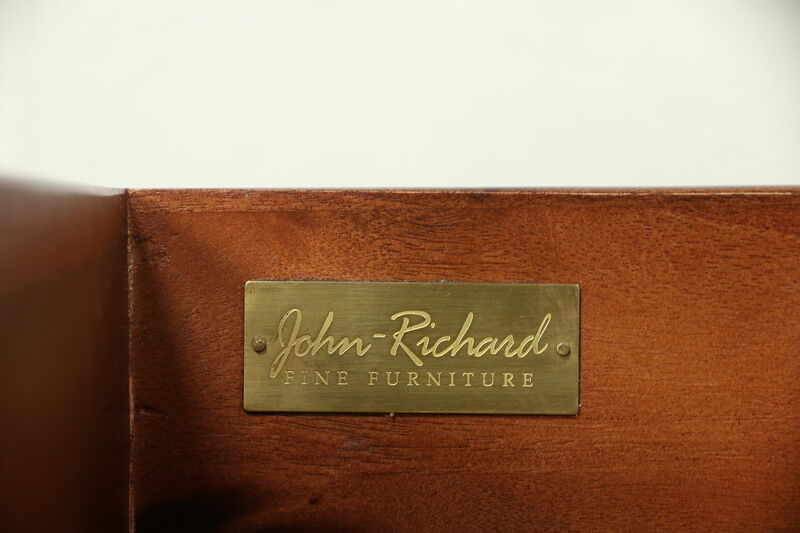 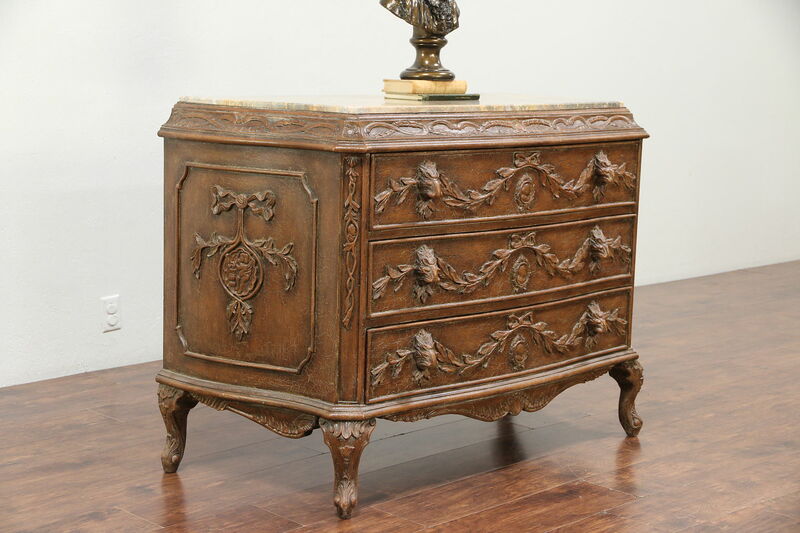 About 4 years old, this custom designer chest or dresser is signed on an engraved brass plaque by luxury maker, "John Richard Fine Furniture." 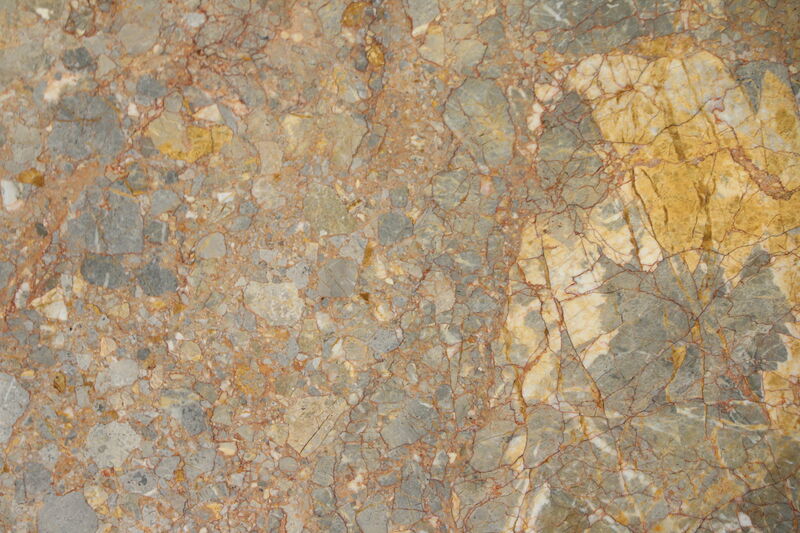 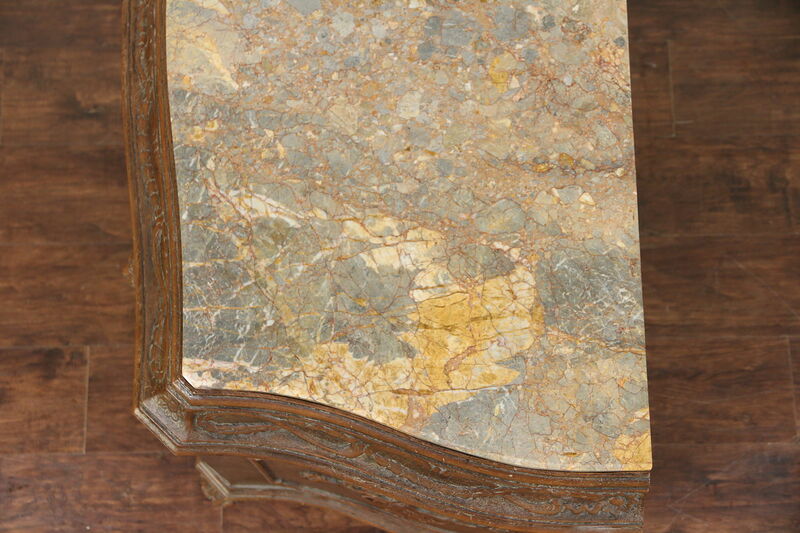 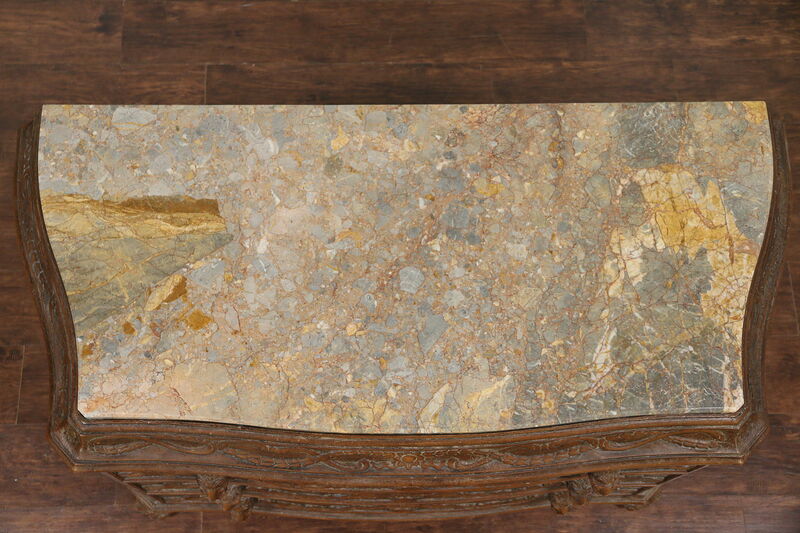 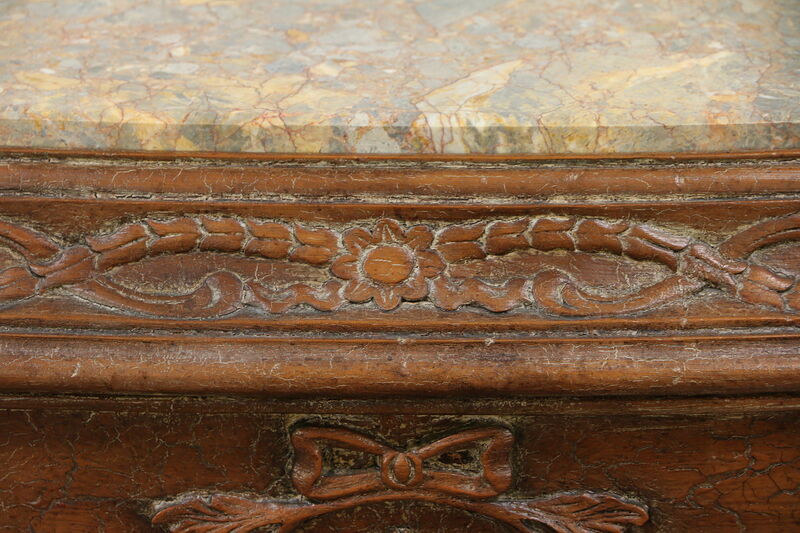 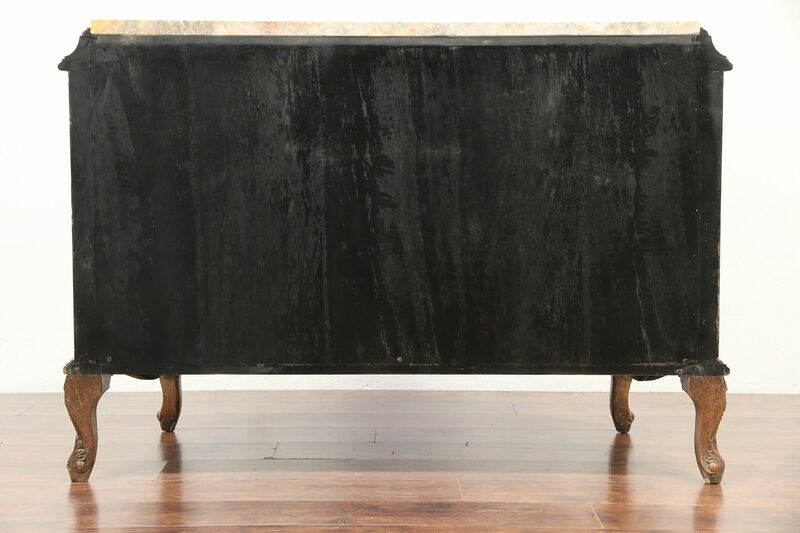 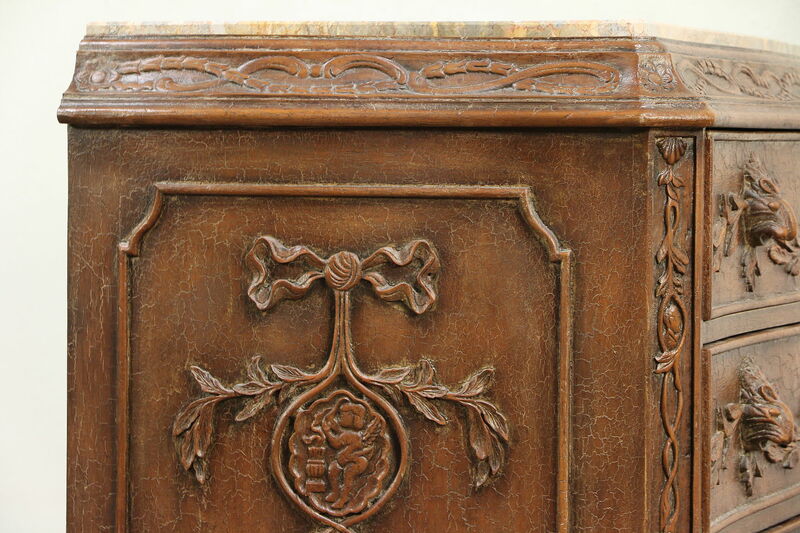 The "Brescia" marble top has a repolished satiny finish. 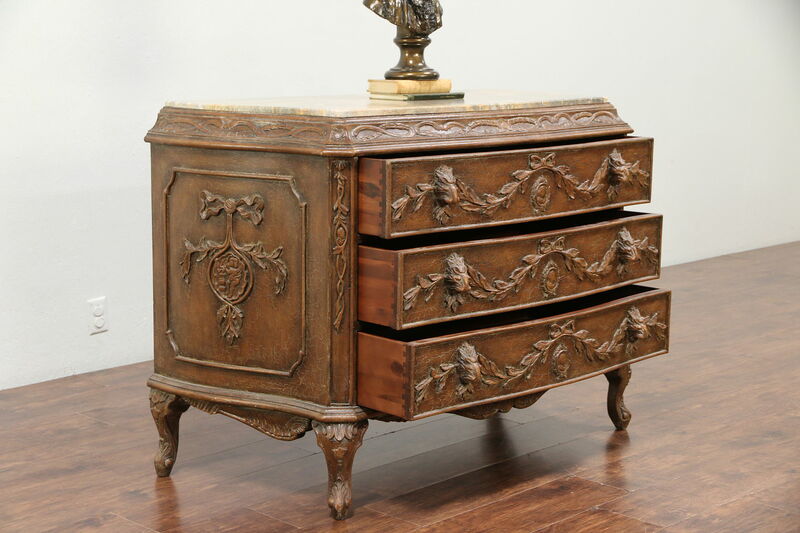 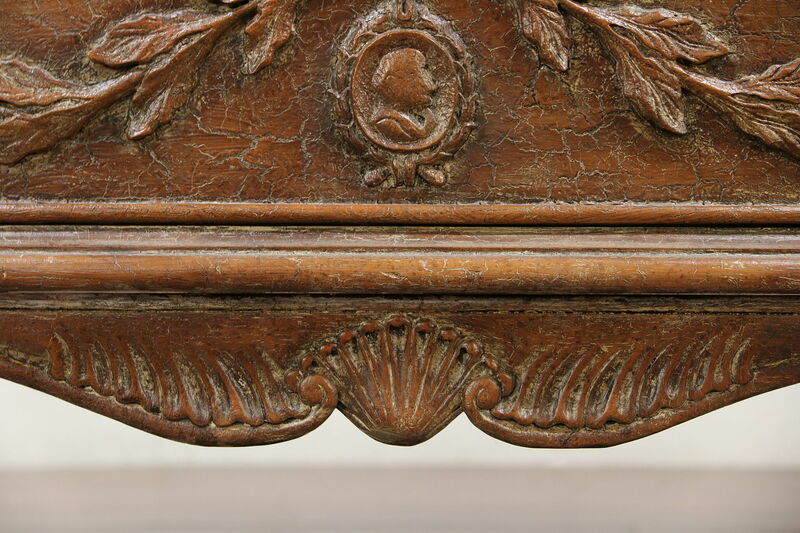 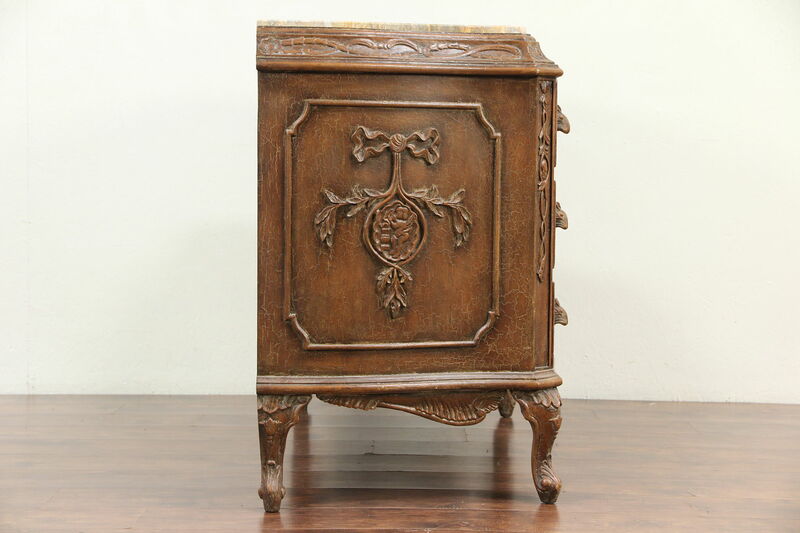 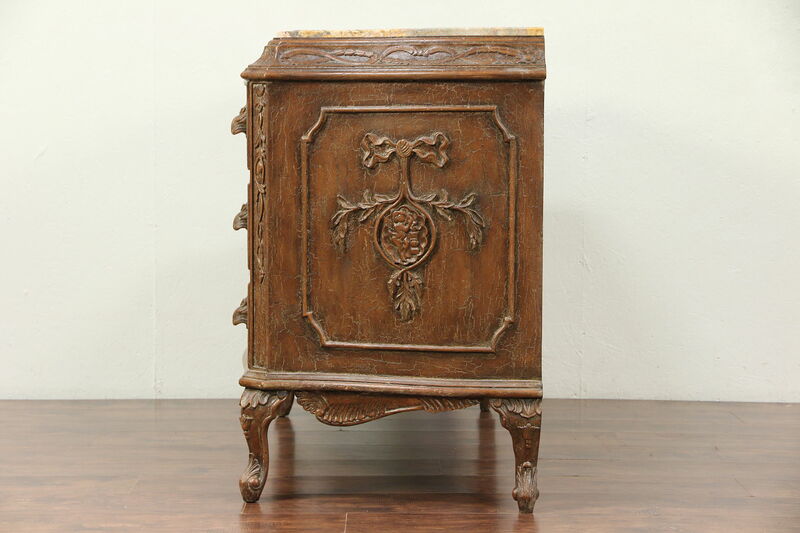 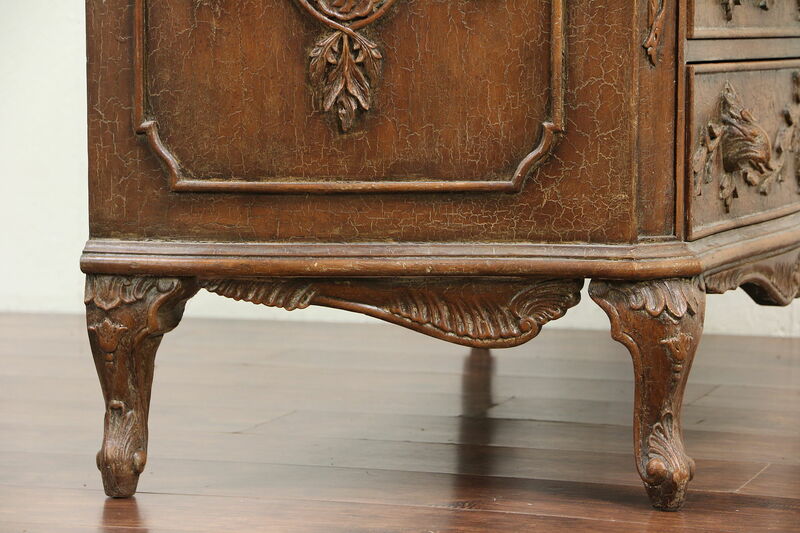 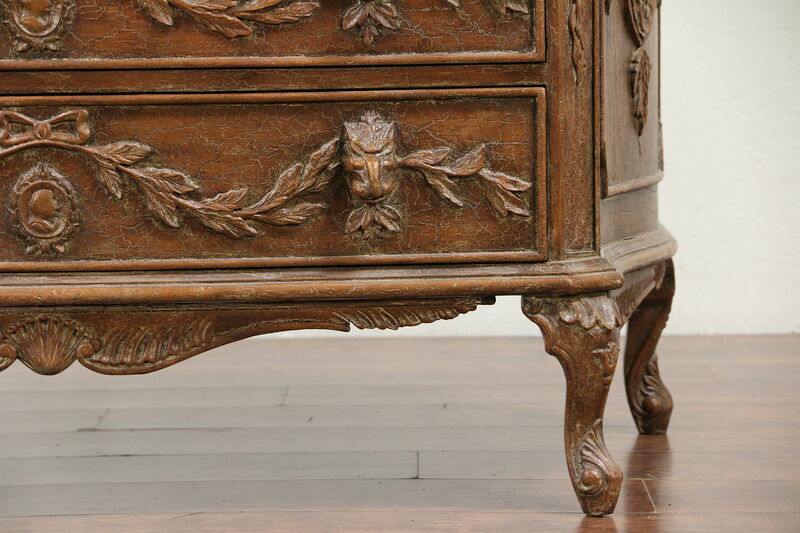 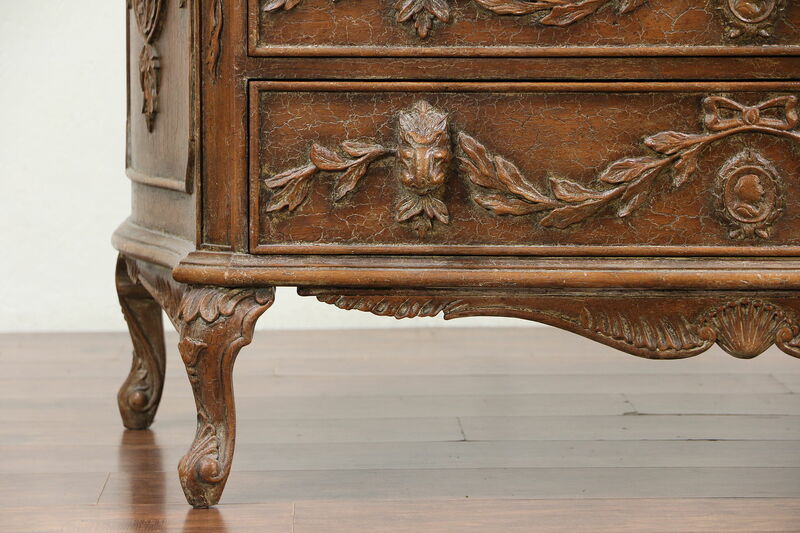 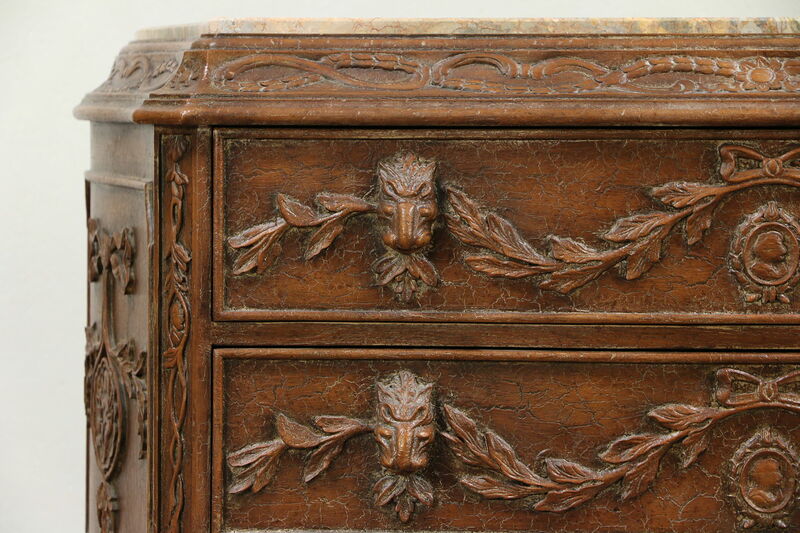 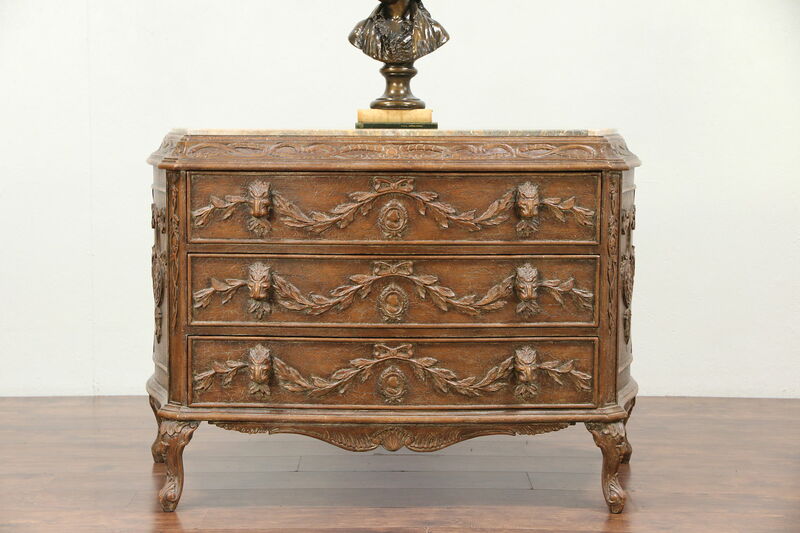 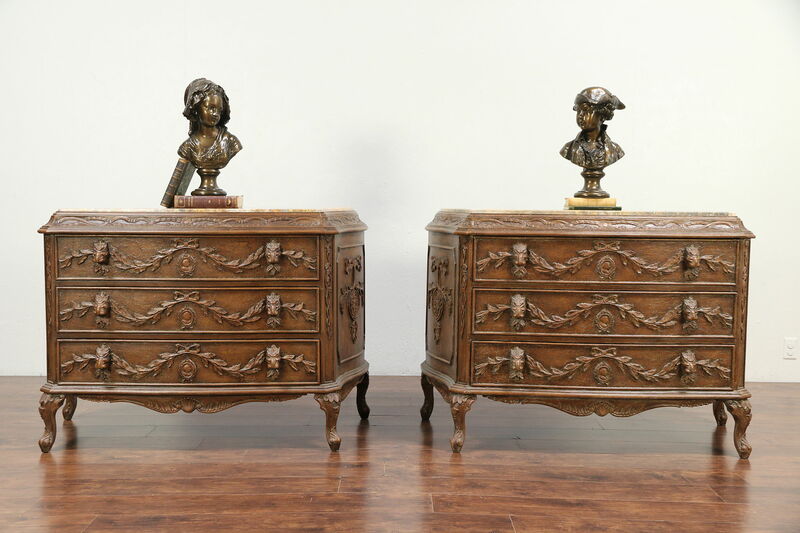 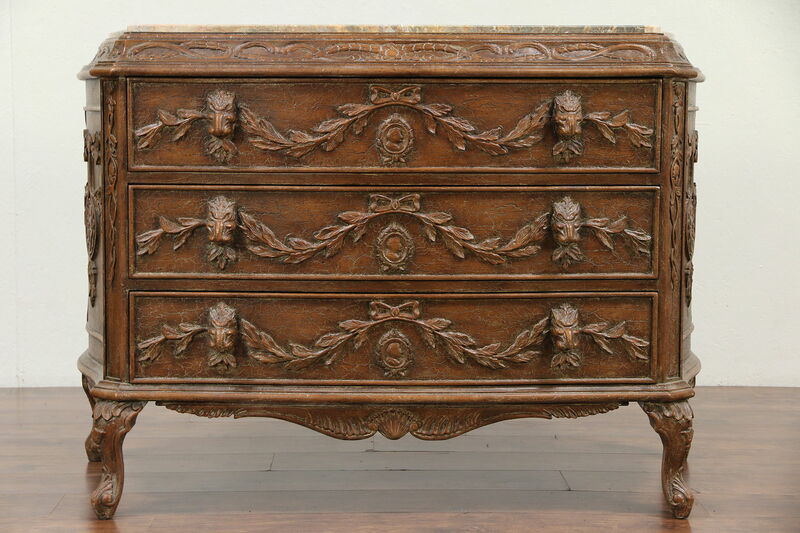 Crafted of mahogany with ram heads and lavish detailing, there are gentle curves on the front and sides. 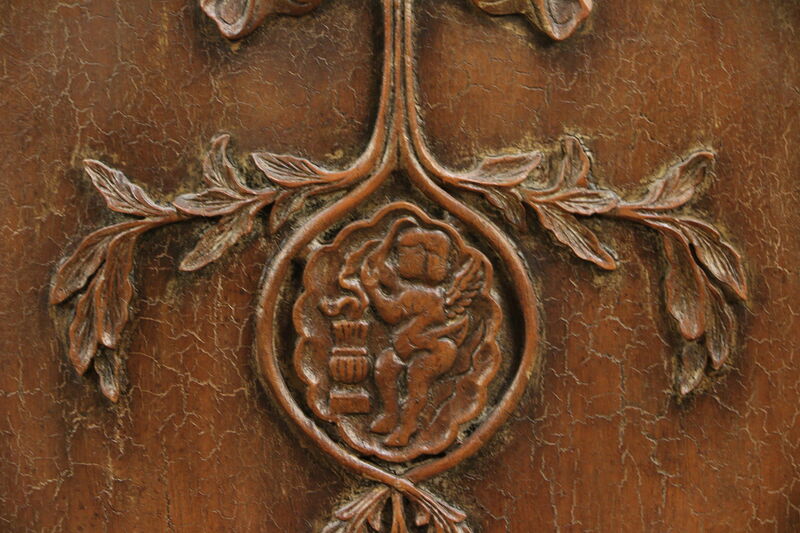 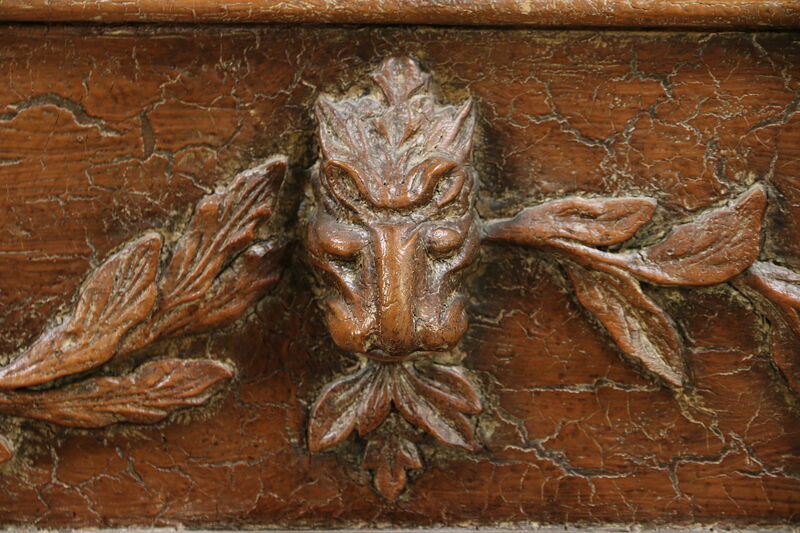 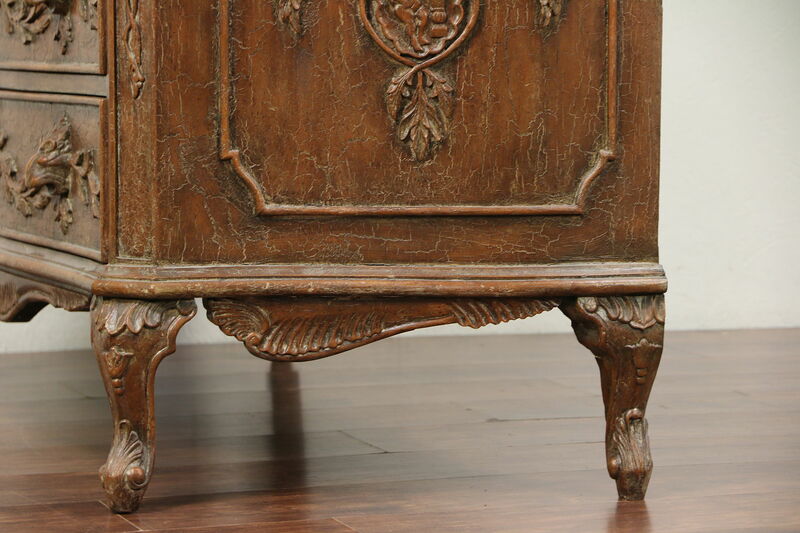 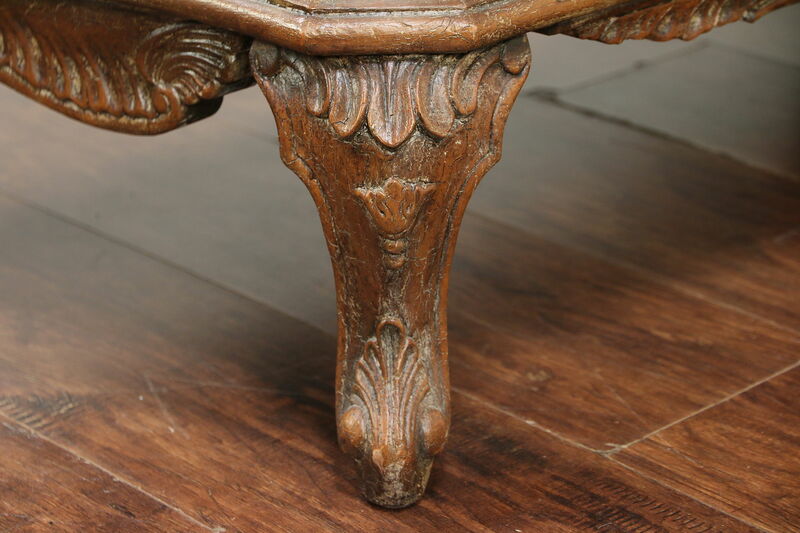 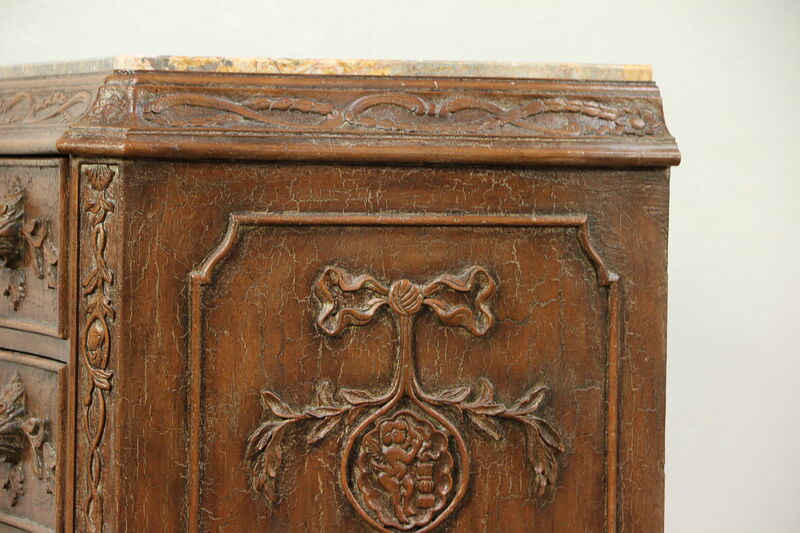 The original "crackle" finish is deeply distressed and in extremely fine condition. 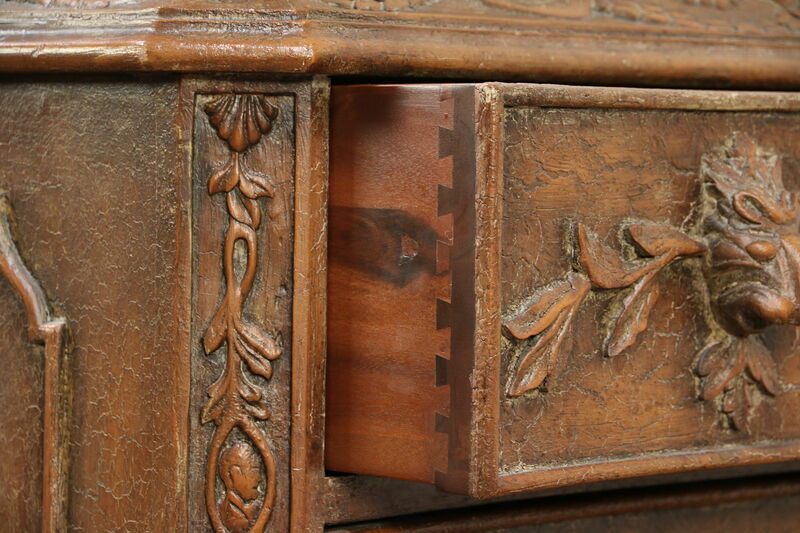 Drawers have curved fronts and dovetail joints. 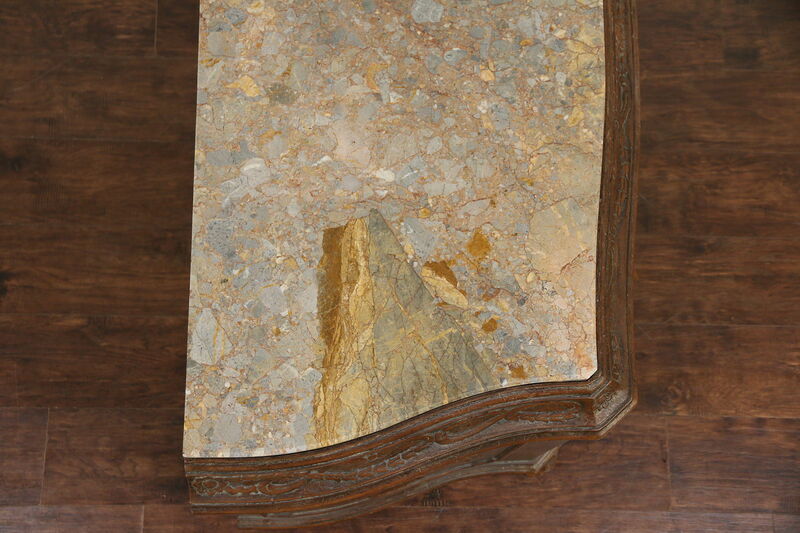 Dimensions are 54" wide, 25" deep and 37 1/2" tall.